Parking Australia has today announced Pripark (QLD) Pty Ltd, an Australian owned parking management and services provider, has adopted and are being audited on the code of practice put forward by the Accredited Operator Scheme (AOS). The AOS aims to improve the parking experience by having private parking operators agree to a common code of practice including greater transparency, fairness and accountability among those accredited. Operators are awarded Accredited Operator status following the completion of a rigorous audit of over 80 criteria relating to parking operations, signage and compliance monitoring. Since the initiative was rolled out, a number of parking operators have moved to adopt the code of practice, which defines the core standards necessary to ensure transparency and fairness. “We are delighted PriPark has made the first step in receiving Accredited Operator status. The AOS provides both a benchmark and barometer for effective parking management, ensuring a fair balance between the rights of the motorist and those involved in the management and enforcement of parking,” said Lorraine Duffy, Chief Executive at Parking Australia. “PriPark is now joining the ranks of other leading parking operators, who are looking to move the industry forwards in creating a better parking experience. We hope to see more operators follow suit and we will continue to lead and educate the industry to improve parking management nationwide,” she said. PriPark joins a growing list of leading parking operators, including ACE Parking, Care Park, Secure Parking and Wilson Parking, which have adopted the code of practice put forward by the AOS. “Parking should be as easy as possible for both motorists and those requiring parking facilities. Our fresh approach to all aspects of car parking and experience in managing car park facilities, coupled with the standards set by the AOS, ensures that we are providing the best possible parking experience,” he concluded. The AOS is but one of a series of initiatives forming part of the Parking Quality Scheme being developed by Parking Australia, as the association looks to improve the parking experience across Australia. 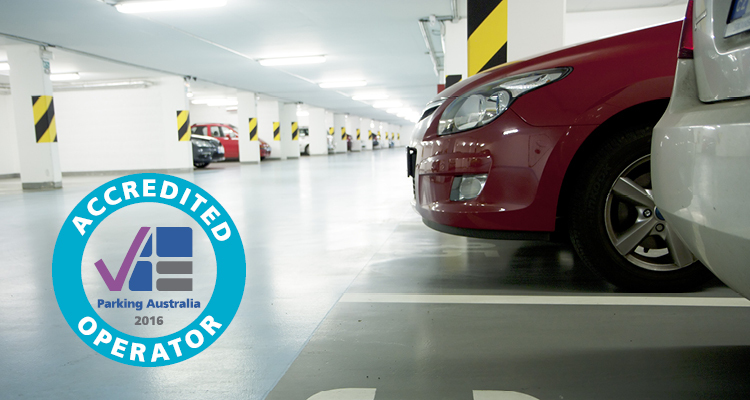 For more information on the AOS, visit www.parking.asn.au/accredited-operator-scheme-home/.